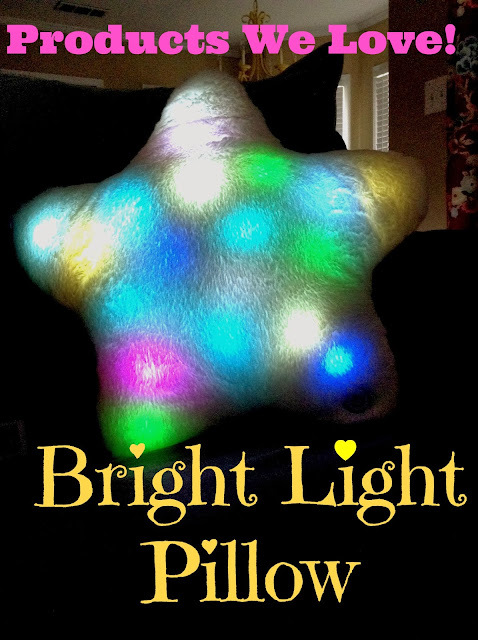 Bright Light Pillows are available in Starlight Square or Twinkling Star, and a special limited edition Beach Ball. Required 3 AA batteries for ages 8 and up. Find Idea Village on Facebook, Twitter, Instagram and YouTube: @IDVproducts. The Bright Light Pillow is available nationwide at retail stores like Walmart, KMart, Bed Bath and Beyond and Khol’s. You may also purchase online at Brightlightpillow.com for $19.99. Disclousure: I received a sample product for the purpose of this review. I was not compensated for this post. All opinions expressed are 100% my own.